Nokia shared today that it is holding an event on July 11th in New York City with plans to announce something new. The invitation says “Zoom. Reinvented.” and includes a large magnifying glass. 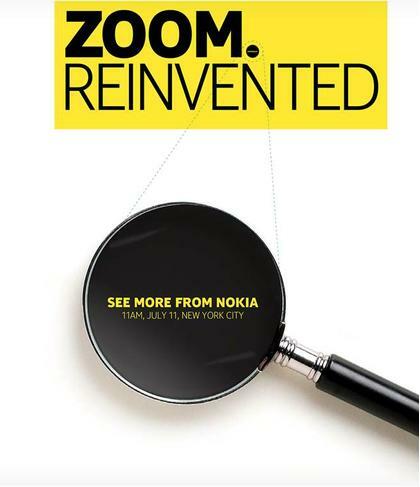 With Nokia’s Windows Phone with true PureView Camera (codenamed “EOS” making rounds these days, it is expected that the company may unveiled the device in the event as even the invitation to mention itself that “Zoom. Reinvented.” Well, curtains will rise on July 11 and we will be covering the event live at 11:00AM ET to see what Nokia is coming up with.